Everyone's curious to know the answer to this question: Why did Kattappa kill Baahubali? We can guesstimate and offer varied versions and theories, but looking back, I don't think the moviegoers had an inkling of how the master storyteller, S.S. Rajamouli, would culminate the first installment of the epic saga BAAHUBALI and how the terrific cliffhanger would eventually become the talking point. I am also sure, Rajamouli must've not foreseen that the question -- Kattappa ne Baahubali ko kyun maara? -- would set off thesis, blogs and memes by movie aficionados across the globe. As a matter of fact, Baahubali, Bhallala Deva and Kattappa -- the iconic characters -- have captured the imagination of the movie-going audience like no film characters in the recent past. Cut to the present... The wait is finally over! BAAHUBALI-2 hits the marquee today. The excitement is palpable. There's tremendous curiosity to witness, scrutinize, analyze and dissect the concluding installment of the path-breaking film. Resultantly, the expectations -- much like the canvas of the film -- are monumental. Does BAAHUBALI-2 live up to those lofty expectations? Is the second part superior than the predecessor? With unprecedented hype surrounding the keenly-anticipated movie, the inescapable question is, will BAAHUBALI-2 set new benchmarks as a film and also at the BO? Let me come to the point right away. BAAHUBALI-2 is a joyride that you wish never ends. I haven't enjoyed any entertainer as much as I enjoyed this one. As a movie buff, I have followed Rajamouli's body of work in Telugu films and admired his prowess as a storyteller. After BAAHUBALI-2, it's not just admiration, but respect and reverence as well. It wouldn't be erroneous to state that you haven't watched something like this on the Hindi screen ever. Also, as a cinematic experience, BAAHUBALI-2 takes gigantic strides, taking Indian cinema notches higher… over and above the standards set by several skilled raconteurs in the past. It requires foresight, guts, vision and of course, the financial muscle to bring to life a lavish spectacle on the giant screen. And Rajamouli uses his strengths and opportunities to accomplish what a majority of storytellers can only talk about or dream of. Let me add, BAAHUBALI-2 is not merely a visually enchanting experience, but also a well-structured film that engulfs you into its world. 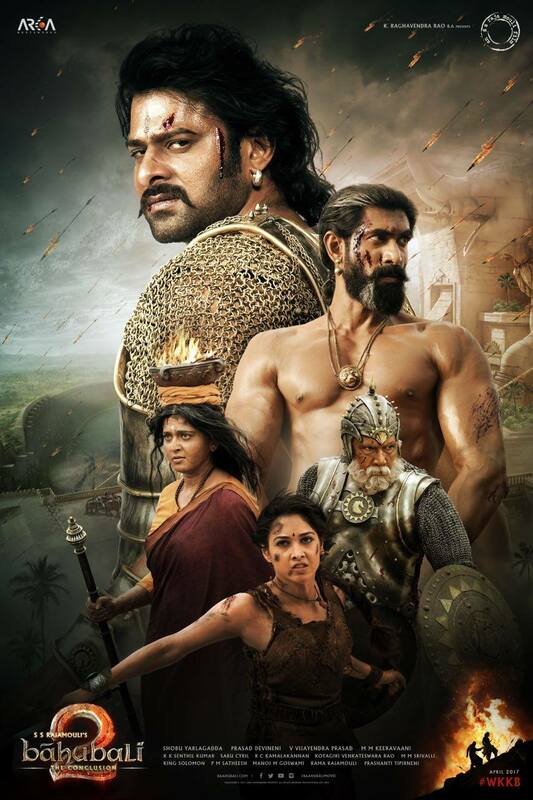 BAAHUBALI-2 takes you back to the kingdom of Mahishmati and brings to fore the reason that triggered off the feud between Baahubali [Prabhas] and Bhallala Deva [Rana Daggubati]. It's the fight to the finish in the concluding part. Will Shiva, the son of Baahubali, succeed against the tyrannical and treacherous Bhallala Deva? Will he regain authority of the kingdom that was snatched from his family by Bhallala Deva? 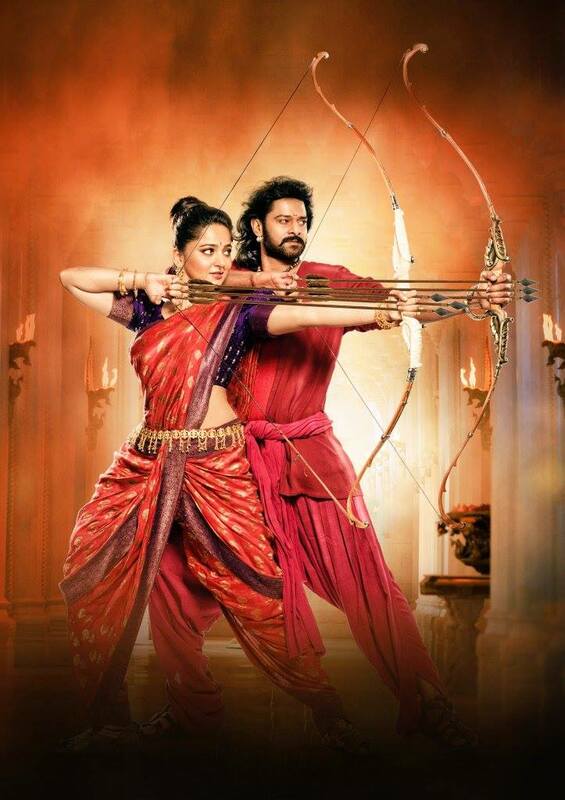 Why did Bhallala Deva keep Devasena [Anushka Shetty] captive all these years? Finally, the pertinent question: Why did Kattappa [Sathyaraj] eliminate Baahubali? It's time to celebrate and I will tell you why! On paper, the plot may seem inspired by history, mythology and comic books that we have read in our growing up years. But scratch the exterior and you realize, Rajamouli belts out an altogether new story that rests on the age-old adage, good triumphs eventually. Rajamouli carries a huge burden on his shoulders: He knows that comparisons between the two parts of BAAHUBALI are inevitable. The concluding installment has to be bigger [canvas, VFX] and better [entertainment quotient] than the first part. It's a daunting challenge actually. And BAAHUBALI-2 delivers and how! BAAHUBALI-2 is seeped in Indian ethos [story: K.V. Vijayendra Prasad], while the drama is garnished with several awe-inspiring sequences and jaw-dropping visuals. The screenwriting vacillates between romance, high-voltage drama, tension-filled confrontations and luminously filmed and brilliantly crafted action sequences, resulting in a movie-going experience that doesn't insult your intelligence. The content is desi, while the packaging has an international feel. Okay, I am *not* a spoilsport to reveal the answer to the pertinent question: Why did Kattappa kill Baahubali? However, I wish to add, the entire track is simply brilliant! There's no doubt that BAAHUBALI-2 is Rajamouli's most accomplished effort to date. His choice of the subject over the years has been diverse, but BAAHUBALI-2 is truly the big ticket entertainer that leaves you awestruck by its powerful storytelling and meticulous detailing. Any deterrent? The Hindi soundtrack could've been better, but that's a tiny hiccup. Also, the editing could've been sharper at places. The breathtaking, larger-than-life frames [DoP: K.K. Senthil Kumar], grandiose and opulent production design [Sabu Cyril] and stunning visual effects impart sheen and sparkle. The action portions provide ample exhilarating moments and I must add, it commands repeat viewing. BAAHUBALI-2 is powered by strong performances from the skilled cast. Having said that, the eyes are on the protagonist and antagonist all the while. You can sense the tension when the two gladiators clash and collide. 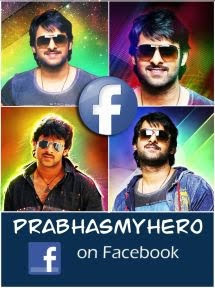 Prabhas is electrifying and gives the two characters the authority that they deserve. The undeniable presence and winsome act adds weight to the magnum opus. Rana is menacing, ferocious and nails his part with precision. His physical transformation -- a prerequisite for the character -- makes him look powerful and unshakable. Anushka Shetty invests purity, valor and strength into her character and emerges triumphant. Tamannaah gets limited scope this time. Ramya Krishnan looks aristocratic and shines as the queen mother Sivagami. Sathyaraj uses his piercing eyes to convey intensity and owns every sequence he's in. Nassar is ruthlessly manipulative and pitches in a tremendous act. The actor enacting the part of Kumar is unmistakably earnest. On the whole, the BAAHUBALI franchise has successfully created its own world and some incredible characters that are sure to stay with you for a long, long time. Talking specifically of BAAHUBALI-2, it's a feast for moviegoers and has the trappings to make all generations its fan. The film is sure to vanquish previous BO records and rewrite the rules of the game. It shouldn't come as a surprise if it turns out to be the biggest grosser of Indian cinema. East, West, North, South... BAAHUBALI-2 is akin to a typhoon that will end the dry spell at the BO and go down as a textbook on how to make a solid entertainer.